No, this is not an update on the fortunes of Malaysia’s youth football team, affectionately named Harimau Muda. Instead, this is the first update on one of Rimba’s youngest (‘muda’ in Bahasa Melayu) projects – Harimau Selamanya! This newest project only hit the ground running in February and is still very much in its infancy. However, it has been a challenging and eventful last four months! 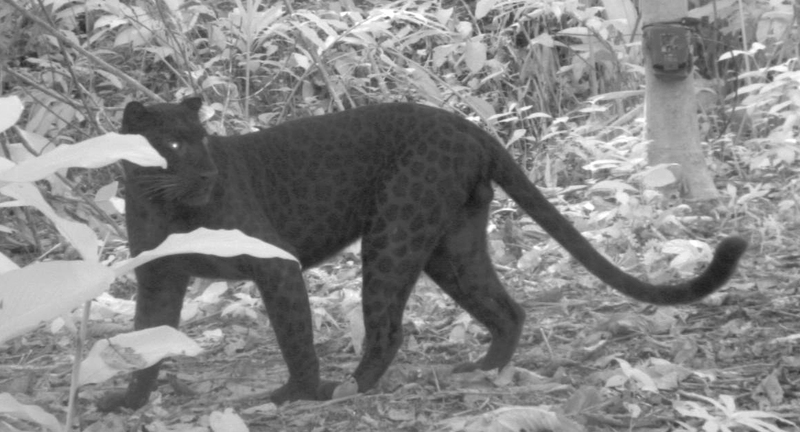 At the beginning of April, this project began with a one-week tiger sign survey workshop conducted by Panthera (Drs. Joe Smith and Rob Pickles) for research officers (Hakim, Khairul, Fauzi, Alim, Hafiz, Amirul) from the Department of Wildlife and National Parks (DWNP) and researchers (Wai Yee, Laurie, Jasdev and Reuben) and field assistants from Rimba. 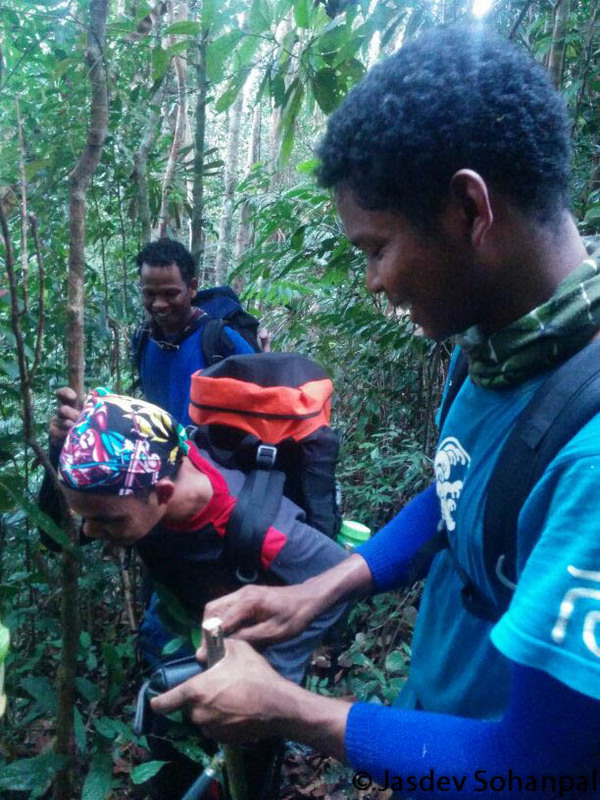 Field assistants Uda, Rasul and Daha sniffing out and marking a tiger spray on a leaf. Scent spraying is a very common form of communication among tigers. The liquid used in spraying is not pure urine; it is mixed with scent gland secretions.